Deals conservation area stretches parallel to the beach at its northern end. Old smugglers cottages on higgledy-piggledy lanes, no two are alike. 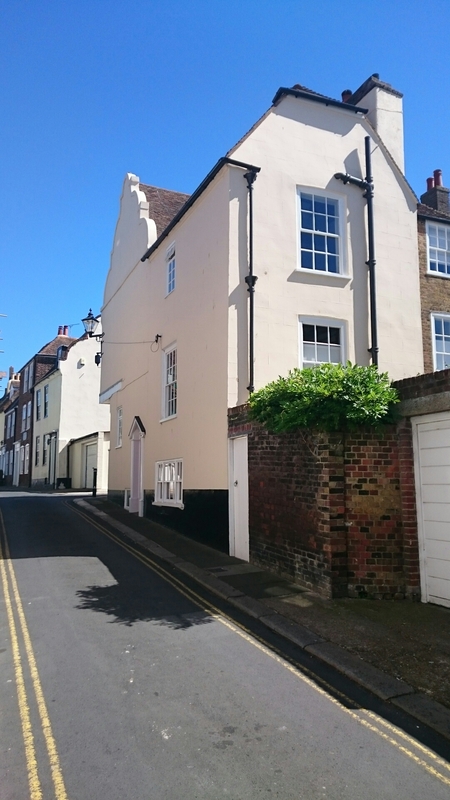 Protected by a Designated Conservation Area, owners know that they have to abide by certain rules and apply for planning permission for any changes affecting the outside of the house. 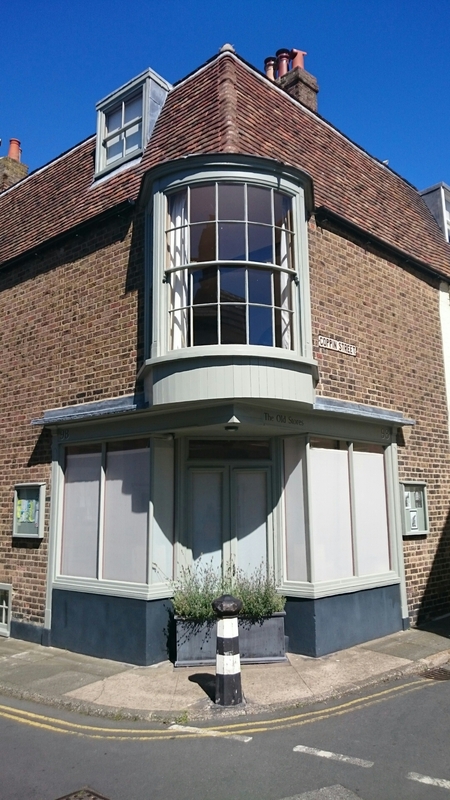 This was the first such conservation area in Kent and has stood since 1968, with the area being extended 3 times. 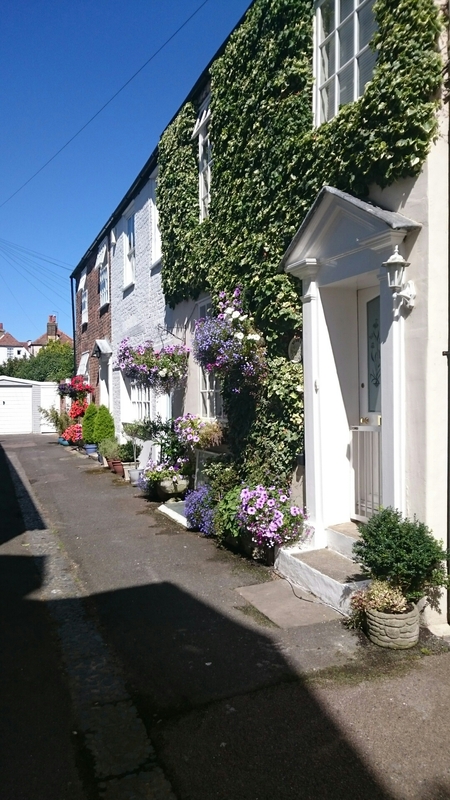 One of my favourite things to do is wander along the streets looking at the details on these houses in different seasons. 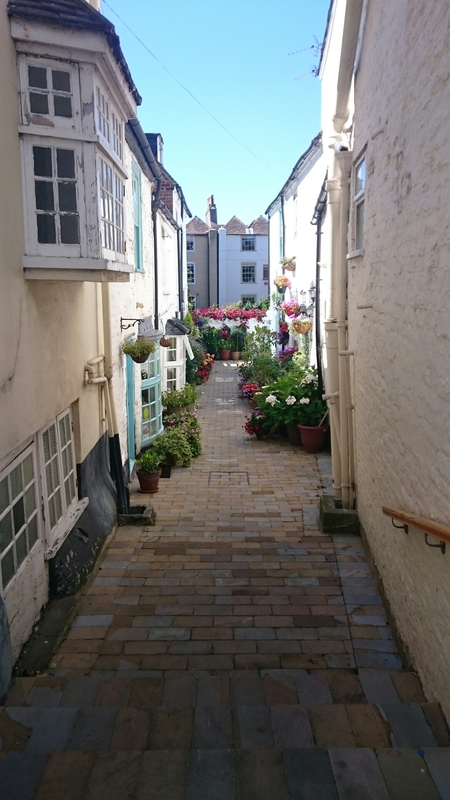 At present in the height of summer,many are planted beautifully for Deal in Bloom (Deal has reached the final of the RHS Britain in Bloom initiative this year and so many people have gone all out – we need to up our game considerably next year!) but at Christmas time the owners adorn their houses with wreaths and festive decorations. 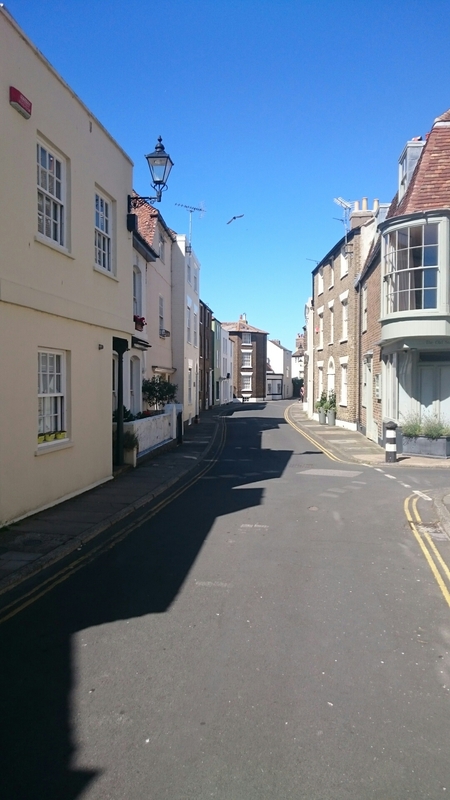 Many are second homes and holiday cottages as the roads run parallel or perpendicular to the sea and the independent shops of the High Street; and I quite fancy staying in one even though I live down the road! We had a wander on a sunny afternoon and I was particularly struck by this unusual and incredible window display. Yes, there’s a crocheted, labelled medal for every athlete! 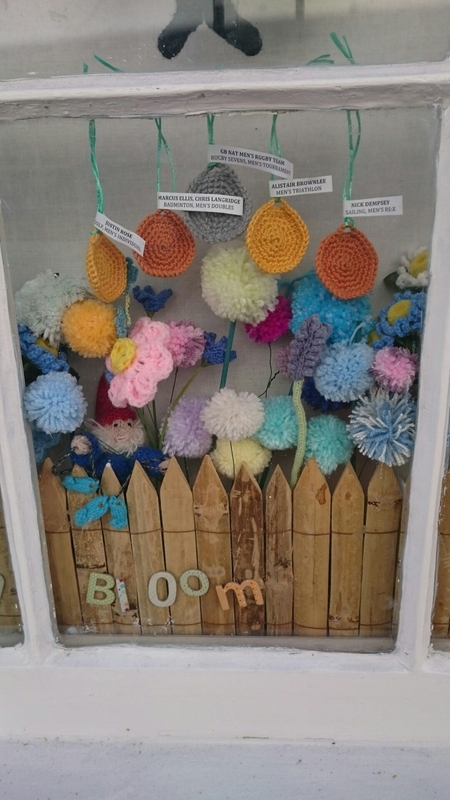 The lady knits and crochets all you can see here and regularly updates her window to keep it topical. Every time I go I spot something I haven’t seen before! Which is your favourite? 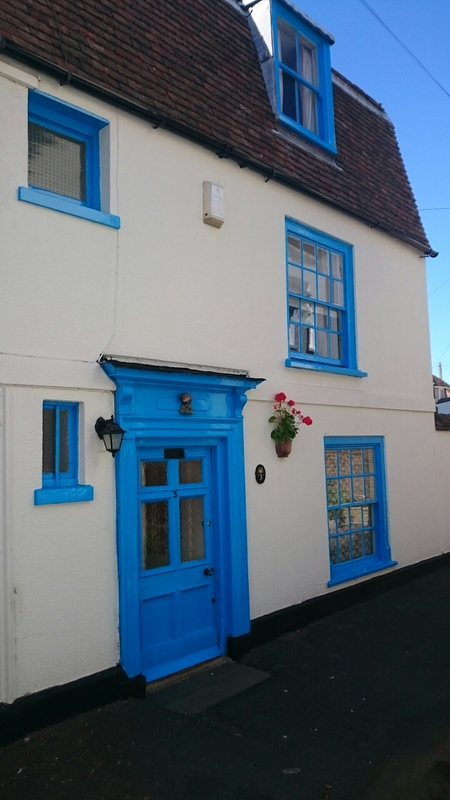 I fancy visiting Deal now. It looks a delightful place to live. You could do it in less than a day as it’s not big and lots of other good places to visit locally which hopefully I’ll post about in coming months! 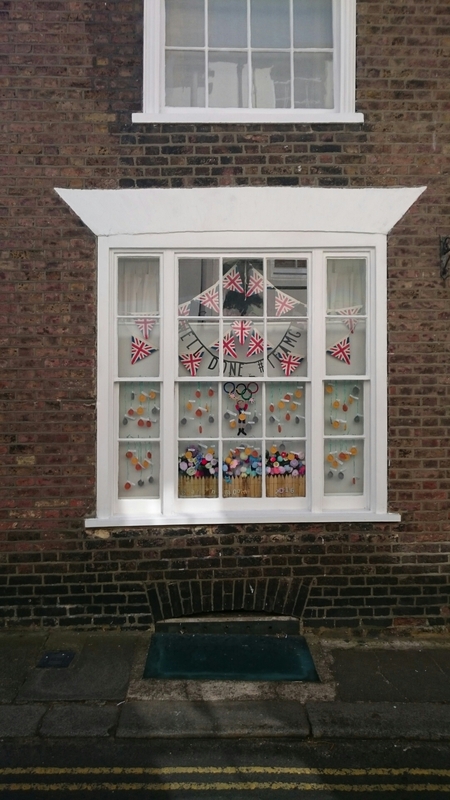 Love the window celebrating the Olympics – what a great idea! 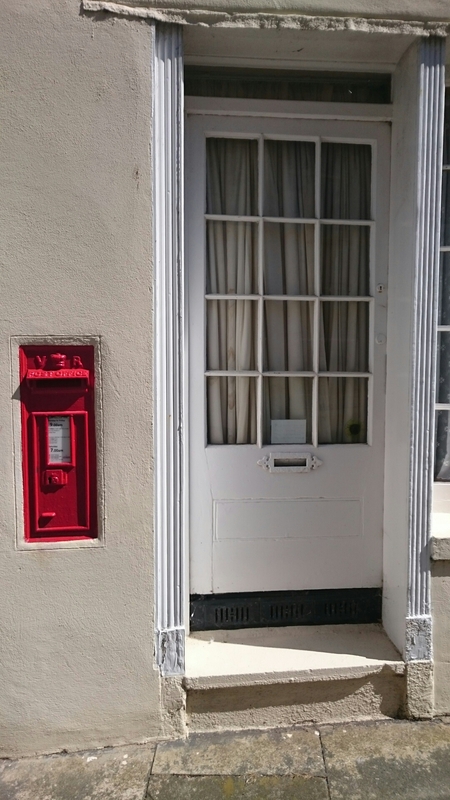 Also like the corner door and windows each side: was that once a shop? 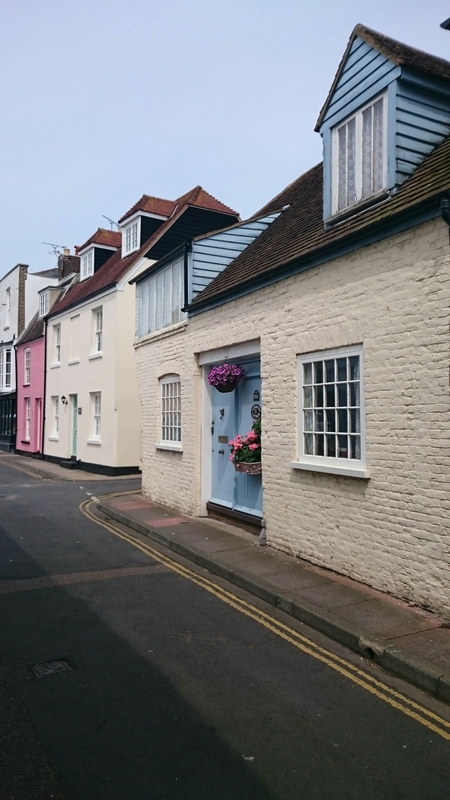 We live in Maidstone and probably amble into Deal once or twice a year but we do tend to stay along the front, visiting the castle and pier (and possibly the fish and chip shop – ahem!) Your photos have made me think that perhaps we should head away from the beach and investigate further. Well done on the blog! Your photos and words are lovely. Wow thanks so much Louise! I think it was but am trying to find out a bit more, it’s the sort of thing my Nan would have known and I wish I could ask her!! !